Panache is excited to announce that we have opened an LA Office in Eagle Rock with our lovely friends Spinning Top Music. We are excited about the west coast expansion and look forward to hosting more events in Los Angeles in 2016. Panache artists Mac DeMarco, Ty Segall, La Luz and King Gizzard announced on Sasquatch lineup. 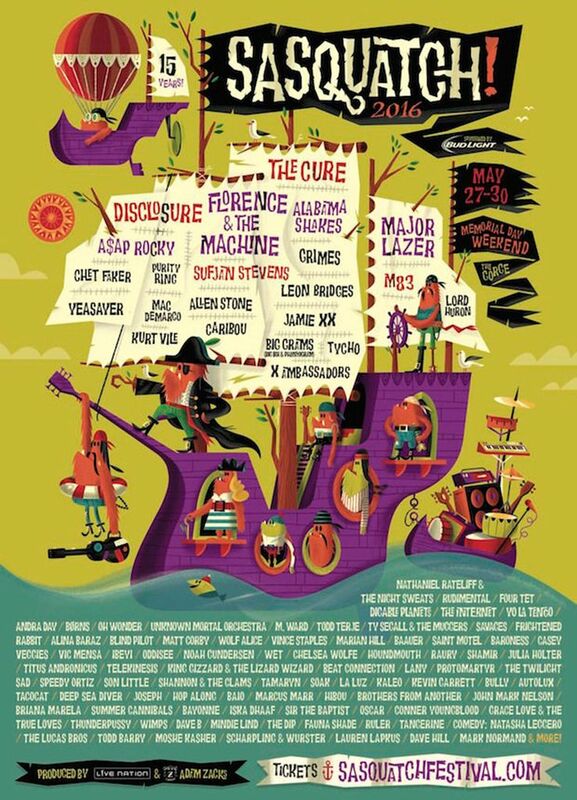 Panache is excited to announce that Mac DeMarco, Ty Segall, La Luz and King Gizzard & the Lizard Wizard will be performing at Sasquatch Festival this year. Full lineup available here. Can’t wait to attend. See you there! ::::THIS POSITION HAS BEEN FILLED:::: Exciting creative job opportunity with one of our artists! Panache Booking is a boutique talent agency with offices in Brooklyn and San Francisco.